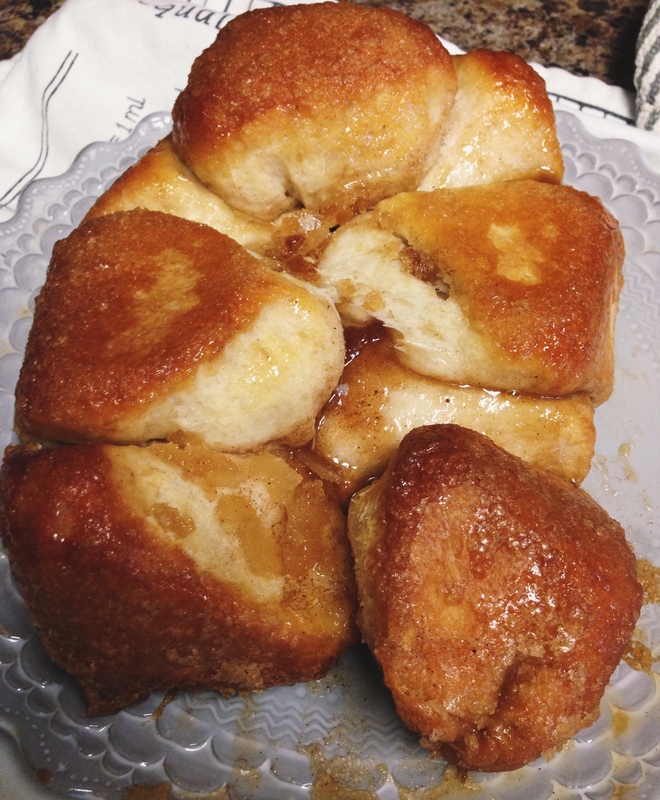 Gorilla Bread is pretty similar to monkey bread, but each pull-apart piece is filled with a special ingredient… cream cheese! 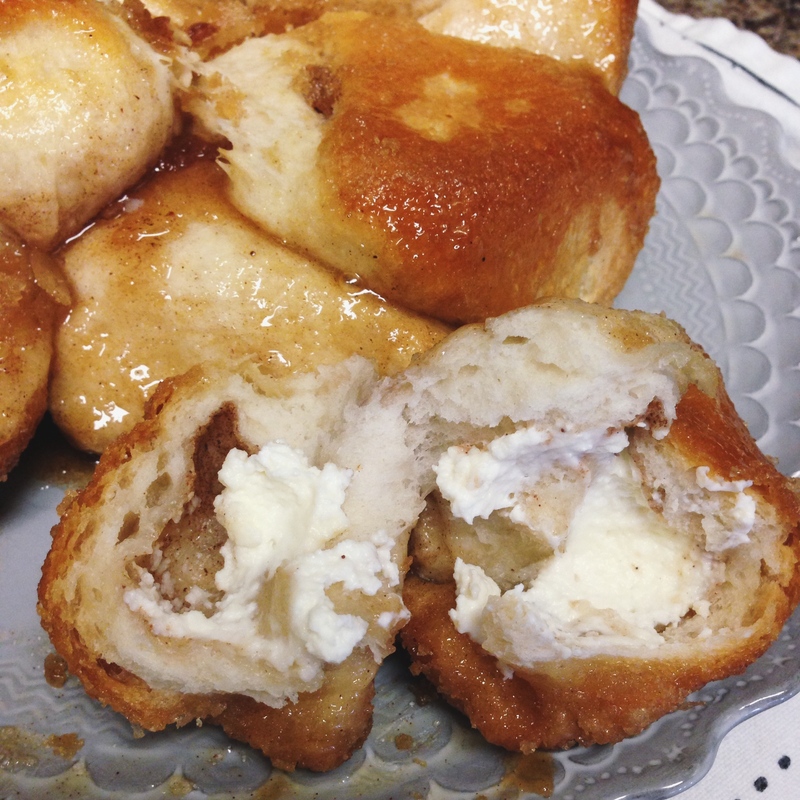 This delicious pastry has a caramelized cinnamon/sugar outside with a soft cream cheese center. It’s a simple recipe that takes only about 10 minutes to put together, making it a great Christmas morning breakfast (or after-dinner treat)! Note: I made half of this recipe and placed it into a large loaf pan. Use two loaf pans or a bundt pan if making the whole recipe. This is an adaption of Paula Deen’s recipe. Preheat the oven to 350F. Spray pan with nonstick cooking spray. Mix together the sugar and cinnamon. In a small saucepan, stir butter and brown sugar over low heat, until melted. 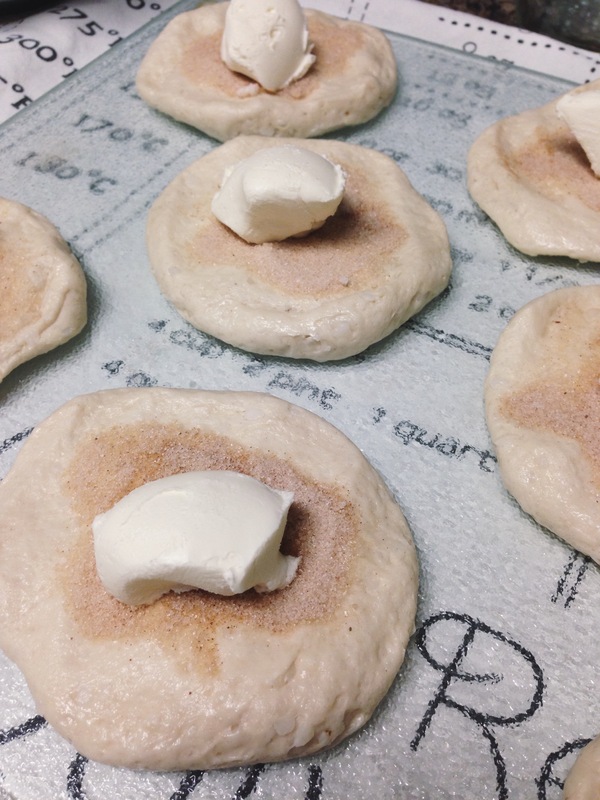 Press the biscuits out flat and sprinkle each with 1/2 teaspoon of cinnamon sugar. Evenly distribute cream cheese onto the center of each biscuit. Wrap the biscuit around the cream cheese and press the dough together to seal. Place half of the prepared biscuits in the pan. Sprinkle with cinnamon sugar and pour half of the melted butter mixture over the biscuits. Layer the remaining biscuits on top, sprinkle with the remaining cinnamon sugar and pour the remaining butter mixture over the biscuits. Bake for 30-40 minutes, until biscuits are golden brown and sugar has caramelized. Remove from the oven and cool for 5 minutes. Place a plate on top of pan and flip over. This Gorilla Bread can be served hot, right out of the oven, or at room temperature. Store any leftovers in the refrigerator. Yum, these look delicious!! 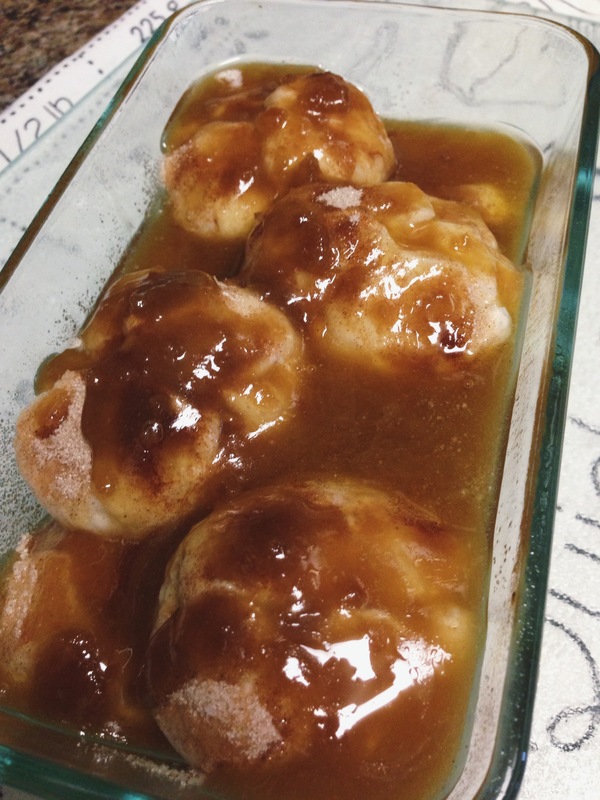 I haven’t seen a recipe like this before and I appreciate your clear instructions and pics – thank you. Looks and sounds fantastic! I have to try this one out. :) Can you fill it with something else then creme cheese? I’m sure that this recipe would be delicious filled with a fruit pie filling or jam. Let me know if you try it! Thanks Sadia, I hope you give it a try!